Like a décolletage without a necklace, some say art just isn’t complete without framing. We disagree — most art is made for framing. But some (like giclee prints) rest just fine on their own. It really depends on the look you’re going for in your space, the colours and vibrancy of the print, and even the contrast the piece has when paired with the rest of the room’s decor. Framing, in our opinion, should enhance and extend the statement and story of the artwork, working to expand on its visual power. But a frame is both a piece of art itself and a functional element of art preservation. In 2019, frames have evolved to themselves be a statement piece, tying together other decorative aspects of a room — whether it’s your home or your home office. Let’s take a look at 5 of the hottest framing and decor trends in 2019 — #5 is a surprising twist on the idea of framing. If you thought that float frames were out of the picture (no pun intended), you’d be wrong. In 2019, float frames are still going strong. In case you missed this “trend,” float frames are handily designed to trick the eye, giving the sense that the artwork is, quite literally “floating” on its own while the frame simply binds the perimeter of the artwork — again, without ever seeming to truly touch it or hold it in place. The great thing about float frames is that they’re sleek and give a very clean finish. Even with metallic frames, the illusion allows your artwork to shine, rather than the frame taking over with its textures or details. 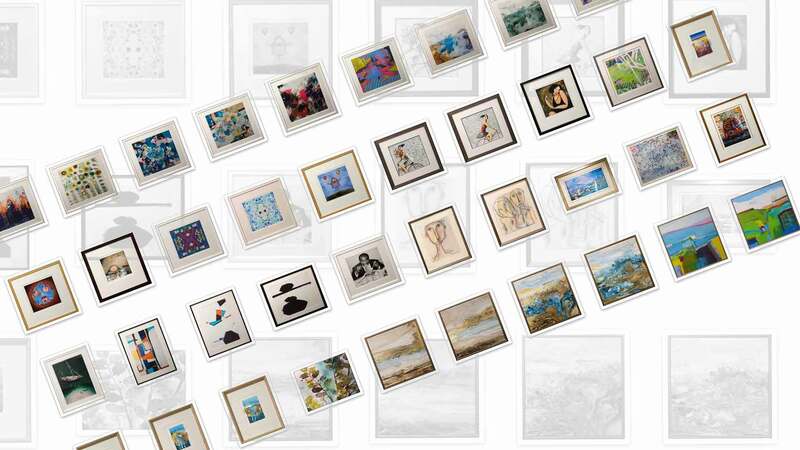 Float frames are perfect for filling a space when artworks are horizontally-tiled. It doesn’t have to be too ornate or garish. Brass is back but, beyond brass, metallic finishes in chrome or silver are desirable in 2019 as well. Why? Metallic finishes work great in modern, minimalist space, amping up the “drama” of a room with its subtle but unmistakable shine. But, lately, metallic finishes have been popping up in homes with wood accents or wood paneling. Basically, in any room where deep, rich, and warm natural wood is dominant, metallic frames can lighten things up with their glimmer and add a touch of modernity without weighing down the already “serious” room. If you’re a dealer (and believer) in the details, stacked frames will be one of your favourite trends for 2019. Stacked frames are exactly as they sound: multi-layered frames that are, literally, stacked one on top of the other to bring both literal and visual depth to the artwork you’ve chosen. Now, it’s a very tricky balance because you want your art piece to shine while still allowing the frames to be appreciated as the right complement to the artwork. 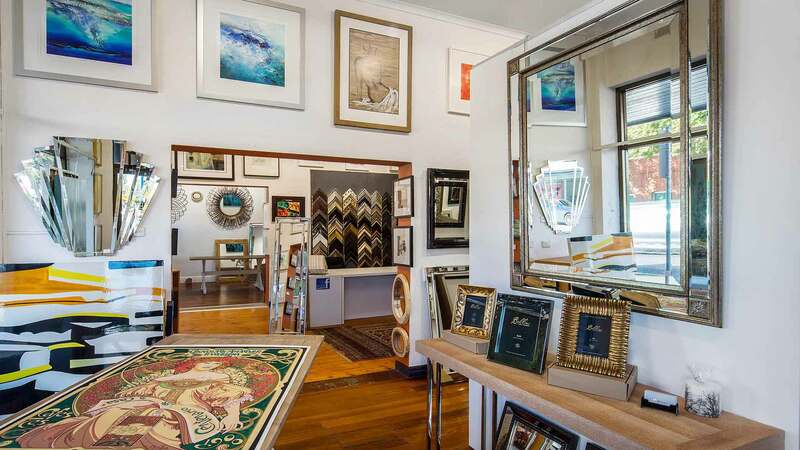 So make sure to consult our experienced Adelaide art framers at Art & Frame in Malvern first. Bring your artwork along, if you can, or a couple of photos of the piece you’re working with. Why stacked frames? There is a sense of playfulness and deliberate choice to this style. For example, if you’re framing a large oil painting of flowers, you may choose an equally as decadent and ornate brass frame. But let’s say you wanted to make the colours of the flowers “pop.” You could then “stack” another frame within the large, ornate frame — and, this time, the colour of the second, stacked frame will be the same as the colour of one of the florals. This interplay creates a very intentional design choice between the artwork and frame(s). Art & Frame in Adelaide gets plenty of requests, even today, for shadow box frames, so that we can say firsthand that shadow box frames are going strong in 2019. Not everyone’s definition of “artwork” is the same. One person’s painting is another person’s papier mache sculpture. Depending on the aesthetic and sentimental value of the artwork to the individual, this might be considered worth preserving and showcasing. That’s when a shadow box frame comes in handy: to mount and show off 3D objects within a frame. In fact, shadow boxes started off as an interesting innovation to a tricky problem. You don’t want to block off the object from view, but you also don’t want to be invasive when framing. When mounting objects into this type of frame, there’s flexibility; the object may be hand-stitched to a mat board, or the box/frame itself could have a shelf or other supports to suspend the object. “Wabi-sabi” is a fantastic term of Japanese origin (like “tokimeku,” popularised by Marie Kondo, meaning to spark joy or experience the flutter of one’s heart). It connotes embracing life’s imperfections, impermanence and accepting the natural cycle of growth and decay. If you choose this overarching philosophy for your home’s decor, you’re finding and displaying pieces that are beautiful in their chipped, used, textured, or weathered beauty. For your frame choices, this means going for weathered, textured, and even “wrinkled” finishes on your frames. This could mean metal frames with texture or even hearty wood frames. You could even use linen liners as a way of bringing that earthy, natural vibe to your artwork. Luckily, framing trends, unlike clothing trends, take much longer to fade. That’s great news because, depending on what you choose, framing is an investment, a commitment to your artwork’s longevity and beautification. At Art & Frame in Adelaide, our years of experience makes us expertly positioned to guide you through your framing journey. Remember, it’s not just about these “trends” or what’s in vogue — it’s about finding the right frame for your personal style, your home’s decor, and your artwork’s idiosyncratic aesthetic. It’s a lot to balance, but we’ve got decades of experience doing just that. Contact us today or come into our storefront on Unley Rd in Malvern. Let’s talk art! And then, let’s frame it.